and it's almost time for Spring Fling! 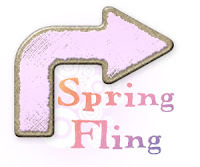 Check out this short slide show of last years Spring Fling Event. Wish I could find the rest of my pictures! If you have some you'd like to share please email them to info@kisscropnshop.com. We have tons of fun at Spring Fling and hope you'll join us! Everyone wins a Door Prize! Guaranteed!! We give away $100’s of dollars at each event in the hottest scrapbook goodies on the market. Contests, Games and more! All optional, all fun!! Assigned seating so you can sit with friends! Great pricing! Great friends! Great times! Famous Paper Train - we can’t tell you what this is, you have to be there to find out!! This is one train you don’t want to miss! *Please note we’ve lowered your cropping fees and given you a choice of purchasing a meal or going out for your meals based on feedback from past events.